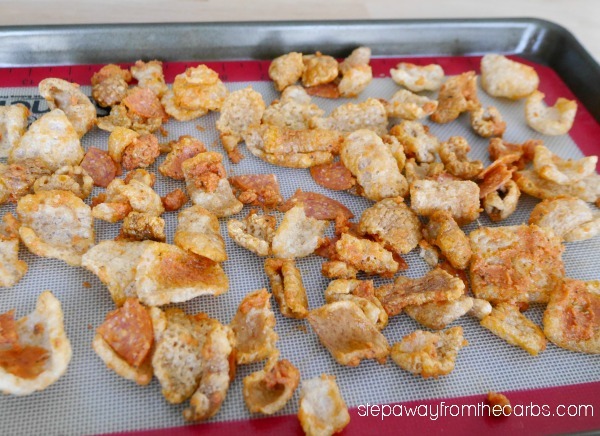 These pizza pork rinds are a super tasty low carb snack! With tomato, cheese, herbs, and even pepperoni – you’ll love them! 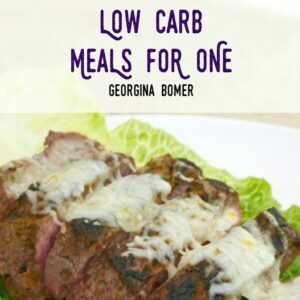 So… this is a bit of a mash-up of food types – but it works! 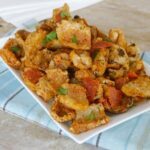 You may have seen recipes for low carb pizza crusts made from crushed pork rinds (or pork skins, if you prefer to call them that). That is not what this is. It’s a snack. Pork rinds, doused in pizza seasonings (cheese powder, tomato, herbs and, of course, pepperoni), then baked. They are filling, delicious and UTTERLY ADDICTIVE. The capital letters are there for a reason – because the first time that I made this I nearly ate the whole thing by myself! 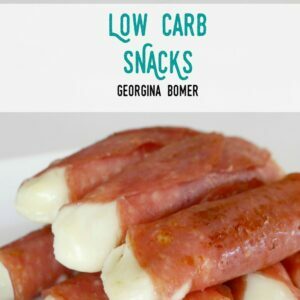 So if you’re looking for a savory snack – maybe something to munch on while watching TV or a movie (pah – who needs popcorn! ), then try these pizza pork rinds! Melt some butter then whisk in some tomato paste – I prefer to buy the paste in a squeezy tube rather than a can, as it’s better for portioning and it keeps longer. Add some Italian seasoning and cheese powder (I used this white Cheddar powder which was delicious!). 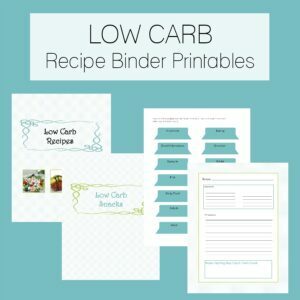 I had contemplated using shredded cheese instead of the powder, but I wanted the snack to be a dry one – and not as messy as something like my Pork Rind Nachos (which are also very good)! Tip a packet of pork rinds (minus the hot sauce, if your brand provides it) into a bowl, then add the tomato mixture. Stir well, trying to coat as many of the pork rinds as possible. Slice some pepperoni into quarters, add it to the bowl, and mix it in. 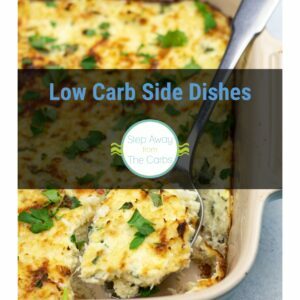 Tip everything onto a baking sheet lined with foil or a silicone mat, then roast in a preheated oven for just 5 minutes. 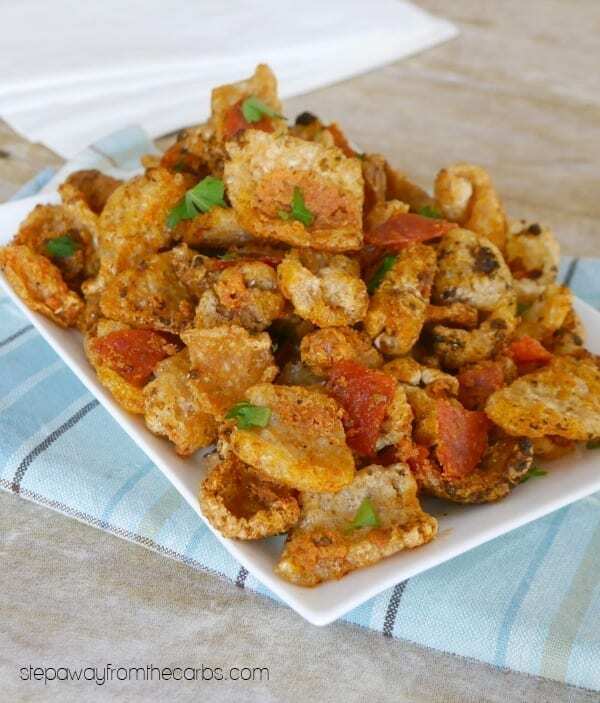 Transfer the pizza pork rinds onto a serving plate, garnish with parsley to make it look healthy, then dig in! Whisk together the butter and tomato paste. Add the Italian seasoning and cheese powder, and stir to mix. 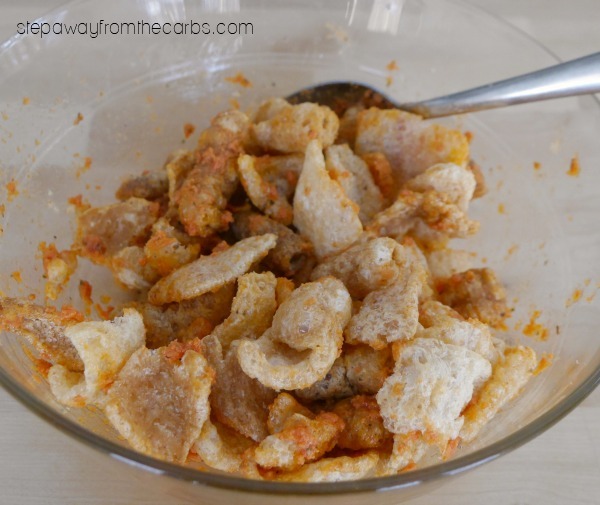 Place the pork rinds into a bowl, then add the tomato mixture. Stir well, trying to coat as many of the pork rinds as possible. Add the pepperoni to the bowl, and mix it in. 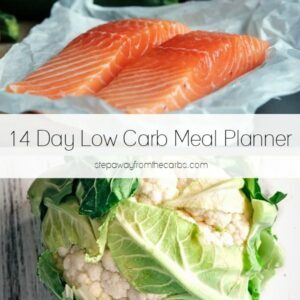 Tip everything onto a baking sheet lined with foil or a silicone mat, then roast for 5 minutes. 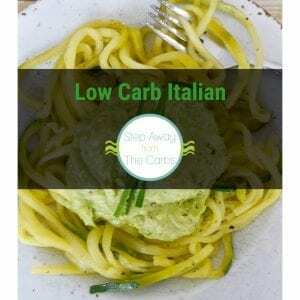 Transfer everything onto a serving plate, and garnish with parsley, if using.